In November, we watched as Alaska was struck by a 7.0 earthquake. 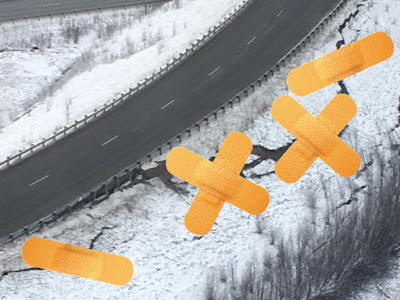 I grew up in Anchorage and as I watched familiar roads now damaged or broken apart, I knew that the pictures could easily have been here in Washington. Thankfully, despite the strength of the quake, there were no deaths or major injures in the Nov. 30 Alaska quake. That's at least partially due to stringent building codes enacted after a 9.2 Alaskan earthquake in 1964. Equally remarkable was the speed with which crews in Alaska got to work repairing the wreckage. 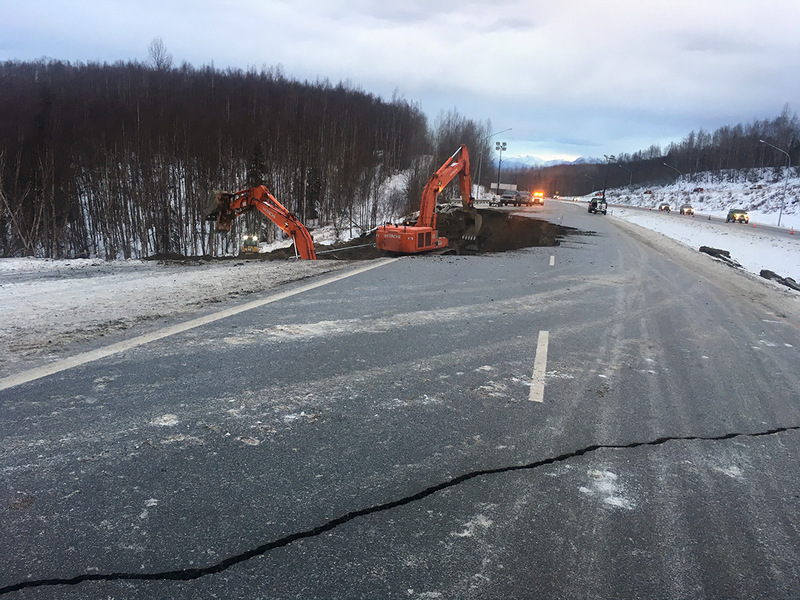 Several main roads were damaged in the greater Anchorage area and temporary repairs were in place in roughly a week. Our hats are off to the Alaska Department of Transportation and Public Facilities for their stellar work. Following the earthquake we've received questions about whether our agency is prepared to swing into action as well. We wanted to answer a few of those while also reminding residents that none of us can become complacent about our earthquake risk or the long road to recovery after a truly massive quake. 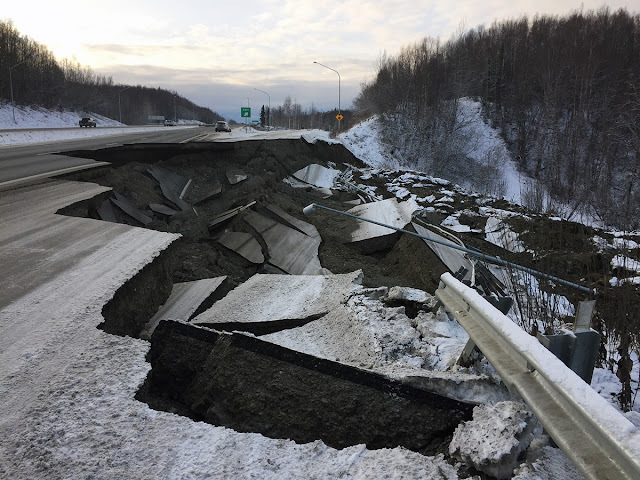 Will WSDOT be able to make repairs as quickly as Alaska crews? The quick answer is yes, we have emergency response plans and train regularly. The longer answer is it depends a lot on the location and severity of the quake. We have employees and technology that will begin inspections almost as soon as the ground stops shaking. Our goal is to restore essential services as soon as possible, and in some cases that could be a matter of days depending on damage. But in other situations, including a very large 9.0 magnitude earthquake, our bridges are designed not to collapse, but they still may need repairs or even to be rebuilt before traffic can return. And, while we have emergency response plans, we also have denser population centers than Alaska. In the greater Puget Sound region, in particular, we have many more bridges and older multi-story buildings vulnerable to earthquakes. The severity and location of damage – and how much effort is needed to rescue or transport injured residents – will drive much of the initial decisions about which road repairs are prioritized. Because older bridges are vulnerable to earthquakes, we've spent more than $195 million retrofitting more than 400 bridges in the past two decades. 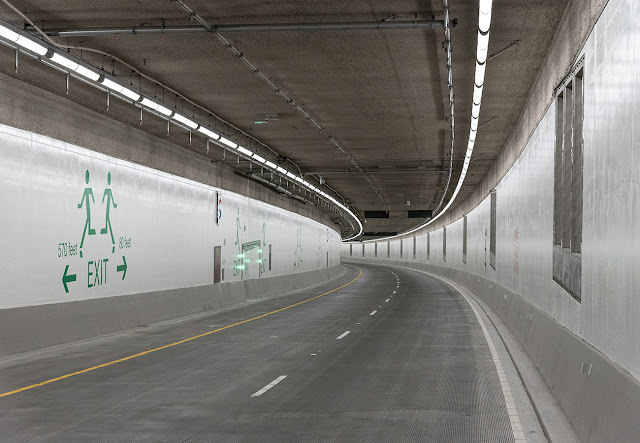 Our newer structures, such as the SR 520 bridge and the SR 99 tunnel, are built to current seismic standards to make them far more resilient to earthquake damage. In conjunction with the state Office of Emergency Management, we've also focused much of our recent bridge retrofit work on creating a lifeline route both north-south and east-west, which may help crews bring in supplies and emergency help after an earthquake. will be one of the safest places to be if a large earthquake strikes Seattle. We've been asked why Alaska crews could repair roads in five days while construction projects here can last all summer or several years. It's important to remember that Alaska crews completed emergency repairs to get roads back open to the public. That's not an apples to apples comparison with normal construction or maintenance work. Officials in Alaska said initial work was more of a "Band Aid" fix, with more substantial work planned for the summer. "We're slapping bandages on this damage so we can keep people and goods moving on our roadways. We'll come back later and make it right, but it will take longer," Alaska officials tweeted. "The work being accomplished right now is 100% incredible, amazing, awesome, and impressive. But it's less miracle, more just a ton of hard work." (We did the same thing after the Skagit River Bridge was damaged, quickly putting a temporary bridge in place to restore traffic flow but later installing a permanent, long-lasting replacement). Emergency repairs can also be accomplished more quickly because bidding, public notice and environmental reviews are suspended and often the entire road is closed – so crews don't have to set up traffic control or work with vehicles passing in nearby lanes. More than 750 homes and buildings in Anchorage suffered substantial damage and are red-tagged or have restricted access; another 900 buildings sustained minor damage and more than 700 still need inspections. The Anchorage School District has announced two schools– including my junior high – are so badly damaged that they will not reopen for the rest of this school year or 2019-20 school year – if ever. Strong aftershocks continue to shake the area and at least one building's roof collapsed in one of those after withstanding the initial earthquake. State officials estimate the damage at $76 million, but that's expected to increase dramatically as more claims are filed and inspections completed. Washingtonians should be prepared for similar challenges after a quake here. Our earthquake danger is just as real and no one should assume they're not at risk. 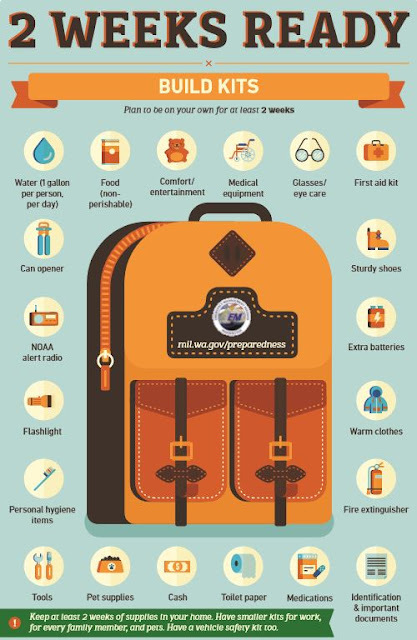 The state Emergency Management Division urges all residents to have two weeks of supplies for their family and be prepared to check on neighbors after a large earthquake. If roadways are damaged, emergency crews will have difficulty reaching some areas and it could be some time before regular traffic and visits to grocery stores, etc., are restored. This how-to brochure is one of several tools that can help. Now is a perfect time for everyone to create or update an emergency plan. After the Anchorage quake, for example, I'm working to bolt my garage shelves to the wall to keep supplies in place. If you don't have emergency items, start building a kit for your home and vehicle. If you're already stocked up, take a moment to review and replace anything that has expired. Make or update a family response plan, including options for limited travel and out of state contacts. Remember emergency prep not only helps for earthquake damage, it also means you're ready for the severe winds, power outages and flooding we see on a much more regular basis. As Alaska demonstrated, being prepared and having a disaster response plan is crucial to recovery.